GLO-Portal is a Community Management System (CMS) custom developed to enhance management and communication in Residential Communities. It consists of a central web-based community portal and a Body Corporate management platform. Please note that all the functionalities described below are not implemented in all the communities using GLO-Portal. Please contact your Management Committee for more information on functionalities not available in your community Portal. 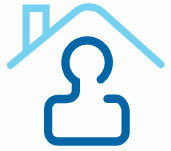 Update your personal details: Each member can (and should) update their personal details directly in the portal. Having an updated database is key to the effective communication and management of our community. View Current and Previous Levy and other Billing Information: View your current and previous billing information directly in the portal. Invoices and Statement scan be printed and re-printed, anytime, at your convenience. Communication with the Management Committee or other Community Members: Notes can be sent directly to the HOA via the portal to ensure your issue gets the attention it deserves. You can also communicate with other members by posting status updates or short personal news feeds on the "Community Wall". Also be on the lookout for news posts from the HOA. View Newsletters and other documents in Electronic Magazine Format: Newsletters, selected documents and other interesting information can be viewed from the portal in electronic Magazine format (e-Mag). Select the E-Mag menu item and the document to view, where after an electronic magazine type document will open in a new window. Page through the document just as you would have done with a printed magazine. View, Download or Print important Documents: Important documents relevant to our community, such as the Memorandum of Incorporation, Code of Conduct, etc. are loaded in the Document area. These documents can be viewed, downloaded or printed at your convenience. Pre-Clear Visitors: Visitors can be pre-cleared, ensuring secure, hassle-free access to the estate for your visitors. Real-time Management of Utilities: Utilities like electricity and water can be managed at anytime, from anywhere via the portal. Electricity usage is available in hourly intervals. Appliances can be scheduled or switched on or off remotely via the portal. Other Exciting Features: Your Managing Committee in partnership with the Portal provider (GLOVent Solutions) are constantly working on adding new functionalities to the portal for the benefit of all members. Kindly watch this space for more details in the near future. GLO-Portal is proudly provided and supported by GLOVent Solutions (www.glovent.co.za). Please contact your Managing Committee for more information on the system. Members of the leading Communities using GLO-Portal can access the Portal by entering their username and password in the member login area on their Community website home page. Please contact your Management Committee should you require any assistance in this regard.